For this week’s workout, we go back in time four years ago to when former U.S. Ski Team member and two-time Olympian Holly Brooks was prepping for a season of international ski marathons in 2014/2015. Now retired from pro skiing and with her own coaching, counseling and consulting business, Brooks, 36, recently ran a sub 3:12-hour marathon (her first on pavement) to celebrate her twins’ first birthday. In that race last month, the Anchorage RunFest marathon in Anchorage, she won her age group and was the second woman overall. How’s that for inspiration? 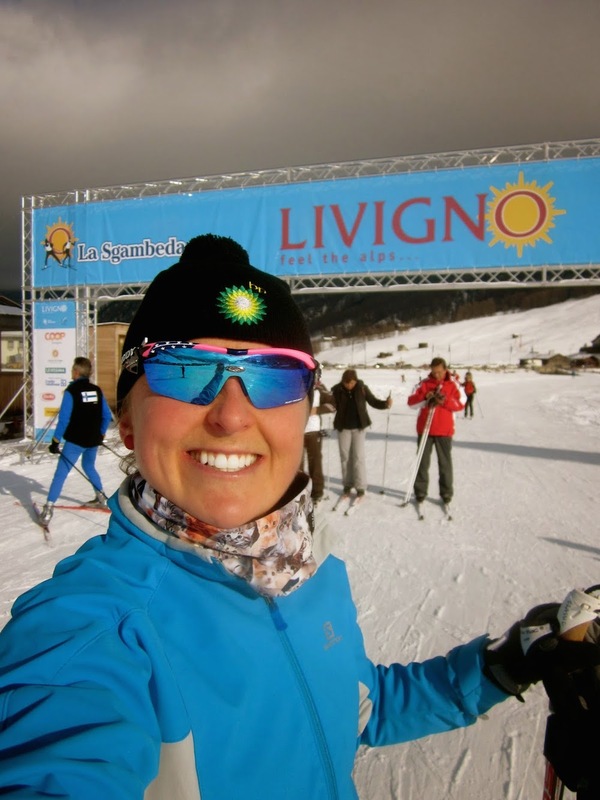 “This season I’m preparing to compete in the FIS World Loppet Marathon Cup. I will compete in eight races as short as 42k (La Sgambeda – Italy & Engadin – Switzerland) and as long as 70k (Marcialonga – Italy). This is a notable change from the World Cup circuit which includes lots of sprints, prologues, and 10ks. The regular Wold Cup has one 30k per year (Holmenkollen) and a second 30k at Championships. Consequently, I don’t have a ton of marathon experience and I’ve certainly never kicked off the season with a 2 hour race! One of my go-to workouts is quick and simple: Over & Under, L3 pace workout with surges. The purpose of this workout is raise aerobic threshold and build the capacity to respond to surges in speed. All of the marathons I will compete in this year are mass start format. Thus, I need to be comfortable going fast and going fast for long period of time. Often these races come down to a break in the middle (when someone sprints to break the pack) or they may end up in a 10-30 person sprint at the end for the victory. The ability to make or respond to a surge is critical for this style of racing. Hence the “over (speeds) and under (L3) title to this workout. Warm up easy (25 – 40 minutes) and make the warm up progressive. Keep the pace low & save your juice for the interval! 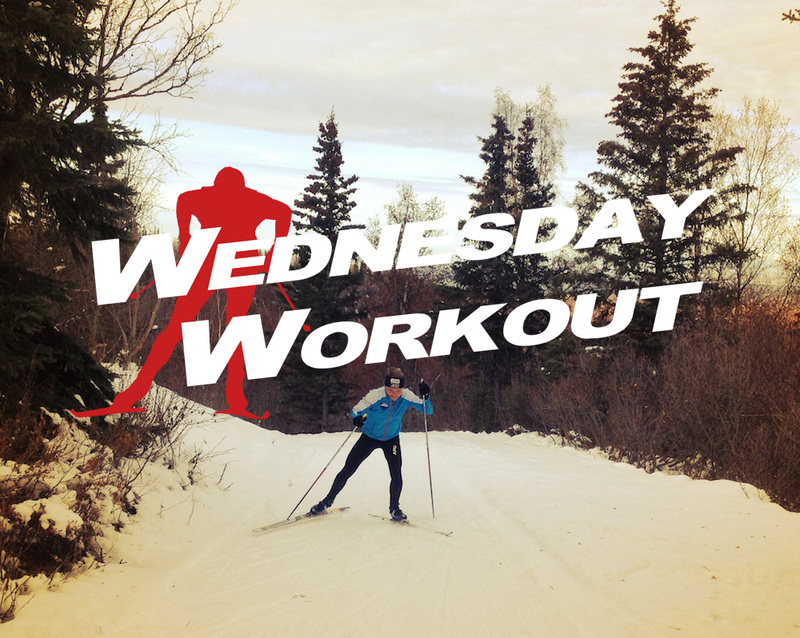 This workout can be done on snow, roller skis, or even foot with poles – choose your method based on what you’ve got. 1 hour L3, threshold, or “fast distance” pace. The idea is to keep the majority of the workout aerobic… think 30-50k race pace. Well above distance pace and below hard race pace. Pick some technique goals to focus on for the session. One thing I like to think about early season are transitions. There is lots of time to be gained or lost in the twists and turns of ski courses. After a summer of roller skiing on street terrain actual ski courses are more dynamic and complicated. Don’t be complacent! Adding intermittent speeds ranging from 10-30 seconds are a fun way to mix up this workout and good practice for mass start formats. The best way to do this is with other people, taking turns “attacking” the group at choice places. (Rather than the predictability of a speed every five minutes keep the format open.) In a race you never know when some one’s going to make a move – you just need to be ready to respond. It’s fun to replicate that in this workout if you have a comparable training group. Fun additions – wax your skis (if you’re skiing!) …. cause good boards for a good workout make a difference. Wear a race suit – because you’ll feel faster, I promise. There is nothing worse than attempting a fast high quality workout in old, baggy fleece! Bring a snack – good recovery foods are key and near the end of this workout your stomach may start to grumble. Today I skied 20k in this format and next week I’ll ski a 30k pace workout. We’ve had snow skiing in Anchorage for about a week now and it’s good to make the transition from fall training to full on, winter snow-skiing gradually. (Tired shins & balancing muscles!) I’m not doing any 2-hour/50k threshold workouts because the recovery time takes too long to maintain a productive training load.